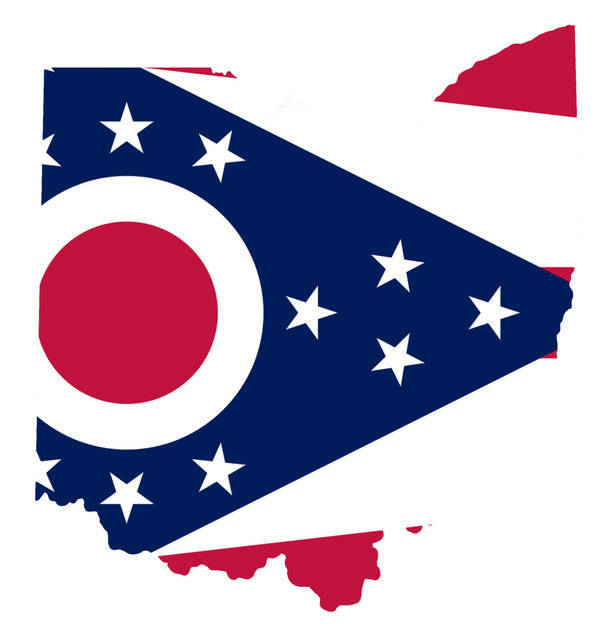 COLUMBUS, Ohio (AP) — Ohio’s hourly minimum wage is rising again, with the rate going up by 15 cents an hour from $8.15 to $8.30 effective Monday. Workers who receive tips will get a wage increase from $4.08 an hour to $4.15. Policy Matters Ohio, a liberal leaning think tank, estimates 150,000 Ohio workers will benefit from the increase. The organization also says nearly 500,000 workers earning slightly more than the minimum wage could also receive boosts in 2018 as employers adjust their pay rates. A Policy Matters Ohio researcher tells Cleveland.com that the wage hikes will help boost the state’s economy. Ohio is one of 18 states raising the minimum wage in 2018. The federal wage rate of $7.25 an hour will remain in effect next year. COLUMBUS, Ohio (AP) — Ohio will use a new seal on high school diplomas to recognize students who demonstrate certain workplace characteristics that aren’t explicitly reflected in their grades, such as reliability, leadership and a commitment to being drug-free. Ohio employers helped identify 15 skills required for the OhioMeansJobs-Readiness Seal. Student can qualify if mentors from school, work or the community validate that they have demonstrated all those skills. The list includes creativity, problem-solving, punctuality, effective teamwork and communication, familiarity with digital technology and an ability to learn from diverse people. State officials say the seal helps students show their job-readiness to colleges and potential employers. For the class of 2018 only, the seal also will count toward the requirements of an alternative pathway for students to earn a diploma. COLUMBUS, Ohio (AP) — After a record number of homicides last year, Columbus experienced its first killing just 14 minutes into the New Year. Police say a 30-year-old woman died at a hospital of injuries from a gunshot wound at 12:14 a.m. Monday. Investigators say officers found Ashley Marie Newman about 11:20 p.m. Sunday while responding to the report of a shooting. Police say Newman’s husband, 32-year-old Sean Newman, was taken into custody early Monday following a traffic accident and charged with murder. He hasn’t been appointed an attorney yet. Columbus had 143 homicides in 2017, above the 139 tallied in 1991 during the crack cocaine epidemic. In Cleveland, police are investigating the fatal shooting of an 18-year-old man early Sunday. EUCLID, Ohio (AP) — Several fire fighters have rescued a man who fell through ice along the shore of Lake Erie. The News-Herald of Willoughby reports rescuers arrived about 3 p.m. Saturday to find the man trapped up to his waist. It took about ten minutes to pull the man free. Euclid Fire Capt. Dave Rowell says the man was walking along the shore and fell. The man was taken to Euclid Hospital where Rowell called his condition stable. Rowell says people should avoid Lake Erie whenever there are strong winds. ORRVILLE, Ohio (AP) — Ohio’s oldest barbershop hung up its clippers this weekend after over 2 centuries in operation. Ron’s Barber Shop in Orrville opened in 1870 and stands as the oldest continuous barbershop in the state. The Wooster Daily Record reports current owner Judy Laurene planned to give the final haircut Saturday to former owner Ron Contini, who owned the business for 43 years. Jerry Demlow, the owner of Jerry’s Cafe next door to the barbershop, purchased the barbershop to expand his restaurant. Laurene says she tried to donate the building to the local historical society, but the building itself would collapse if it was moved. She will continue cutting hair two days a week at another barbershop.